Pharmaceutical and biotechnology companies routinely conduct multinational clinical trials in both the U.S. and EU. The major reasons for this are potential trial cost savings, a desire to market the medicinal product globally, and the need to quickly find eligible study patients in order to meet protocol’s enrollment goals. 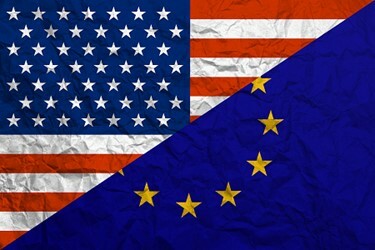 However, there are significant differences between the U.S. and the EU with respect to the process of gaining regulatory approvals for initiating clinical trials of a new (unapproved) medication. Those differences relate to the initial regulatory submission, review, and approval process and the process for obtaining institutional review board (IRB)/central ethics committee (EC) approval to initiate the clinical trial. The FDA is the centralized regulatory agency for all 50 states within the U.S. An application to initiate the first clinical trial of a new medication is made by a company (sponsor) by submitting an Investigational New Drug (IND) application. The FDA requires a 30-day review period for the IND. After this 30-day hold, the sponsor company can initiate its first Phase 1 clinical trial in any or all of the 50 states. If all is well, the sponsor will not hear back from the FDA. This is referred to as the “no news is good news” response from the FDA. All subsequent clinical trials or substantial amendments of ongoing trials will require the sponsor to submit an update to the initial IND to the FDA. 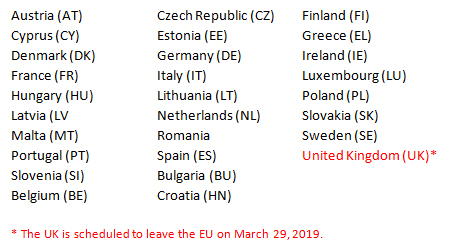 Because the EU is comprised of many different countries (Table 1), the study initiation process is local, rather than centralized. So, a sponsor must submit a clinical trial application (CTA) to the individual countries where it wishes to initiate a clinical trial. Although the format of the CTA is quite different from that of the IND, the content of these submissions is very similar. On May 28, 2016, the EU Clinical Trials Regulation (No 536/2014) became effective, replacing the EU Directive (2001/20/EC) and changing how clinical trials are submitted, reviewed, and approved by the local regulatory body (Competent Authority) of an EU country/member state (MS). In planning a clinical trial, a sponsor needs to select those countries (MSs) within the EU where it wishes to conduct the clinical trial. The sponsor then selects one MS to perform the functions of the reporting member state (RMS). The RMS performs the initial review of the CTA submitted by the sponsor for completeness and prepares an assessment report based on an evaluation of the scientific, therapeutic, and safety aspects of the trial. The RMS then sends the assessment report to the other MSs for comments, which are then incorporated into a final assessment report. The final assessment report is sent to the sponsor along with a copy of the CTA with the CA “APPROVED” box checked. The sponsor cannot initiate clinical trials until it receives approval for the CTA, even if the 30-day period has elapsed. The final assessment report will also be sent to any other MS joining the clinical trial. Substantial amendments to the original CTA for the ongoing trial will be submitted to the RMS, which will in turn interact with the other MSs. However, new clinical trials for the same medication will need to be submitted with a new CTA and go through the RMS/MS process again. In addition to regulatory approval, approval from the IRB/EC must also be obtained for each clinical trial. An IRB, like an EC, is an independent group of professionals who review and approve/reject clinical trial protocols based upon their assessment of benefit to risk. In the U.S., IRBs must be registered with the National Institute of Health (NIH) and have a current Federal Wide Assurance Number (FWA#). A sponsor must ensure that each clinical trial investigator obtains IRB approval for the protocol, informed consent form, etc. related to the trial to be conducted at its specific study site. In the U.S., it is the investigator who submits the study protocol and other required documents to his/her local IRB. The IRB meets, reviews the clinical trial documentation, and provides the investigator with a written decision. At the conclusion of their review, the IRB will provide a formal letter to the investigator. A copy of this letter is sent to the sponsor by the investigator(s). A sponsor can only send clinical trial investigational medication to an investigator who has received written IRB approval. There is no timeline for completion of the local IRB’s review and approval process. In my experience, the timeline can be as little as two months or as much as a year or more. So, the interactions with the local IRB are through the investigator and not the sponsor. According to the EU Regulation, a sponsor must obtain approval from the central EC of each MS where the trial is to be conducted. Each MS has at least one central EC, which is approved by the CA of that country. Unlike the U.S., interactions with central EC are with the sponsor, not the investigator. The composition and responsibilities of the EC are similar to those of the IRB. The timeline for the central EC review and approval/rejection is 60 days or less for standard products and up to 90 days for gene therapy studies. Should the EC need clarification from the sponsor during its review, it “stops the clock” until an answer is provided by the sponsor. In the event that the sponsor’s response is inadequate, the EC can reject the submission and the sponsor must start over. Central EC approval is documented by checking the “APPROVED” section of the CTA EC review box. Major differences between the U.S. and EU with respect to gaining regulatory and IRB/EC approval to initiate a clinical trial can significantly affect multinational trial start-up. For sponsors wishing to conduct multinational clinical trials, careful advanced planning is most important. For over 10 years, Michael Pierro has provided consulting services to biotech, pharmaceutical, and CRO clients in the areas of clinical operations and GCP/SOP training. He draws on over 30 years of experience in clinical operations and training in the pharma/biotech industry. Prior to consulting, Pierro worked for Barnett International as director of business development — consulting and clinical training, responsible for development and implementation of GCP-related SOPs, specialized compliance-related training programs, and related consulting services. Previously, he served as director of global training for Hoechst Marion Roussel’s (Aventis) Global Clinical QA department, directing all GCP auditing, SOP and technical training programs, and activities within the company’s Global Drug Development Center and other development sites.